We demystified it last month, but Facebook’s $18 billion acquisition of WhatsApp should begin to make more sense to people today after the company announced that its Messenger service will become a platform for third parties — as TechCrunch first reported last week. The Messenger Platform will allow developers to deeplink their apps into Messenger, and it will also become a communications channel for businesses and customers. These moves aren’t a huge surprise — they’ve been pioneered by Line and WeChat in Asia for years, and Facebook’s head of Messenger, David Marcus, gave plenty of hints in an interview with Wired last year. But, while the tech industry chews on the immediate implications, the path for WhatsApp is clearer than ever. If Facebook is a platform (which it now is), then WhatsApp will continue to be a communications utility. WhatsApp’s simplicity is the yin to the yang of Messenger’s busy platform. 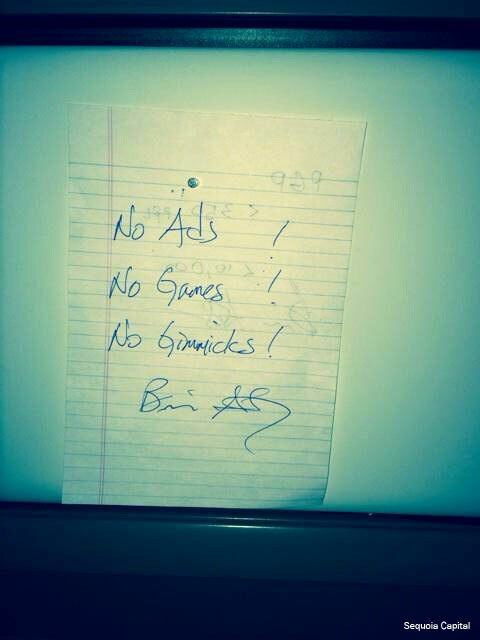 “No ads, no games, and no gimmicks” has long been the ethos for WhatsApp’s founders, who instead stick to the business of connecting people. Initially that was via free messages — WhatsApp has eclipsed SMS in volume — and now it includes voice calls, which are slowly rolling out on Android devices first. However, with Messenger adopting the platform approach and offering a more interactive experience, WhatsApp can be its antithesis and focus on basic communication. There’s an argument that Facebook will bring WhatsApp under the Messenger Platform umbrella over time, which is easy to say when you consider that the service has 700 million monthly active users. But there’s likely a vast overlap between that user base and the 600 million that Facebook says use Messenger; duplicating features across the two would make no sense. There’s also a strong case to offer a simplified chat app option. WhatsApp’s core strength is its ease of use. There needs to be a channel for users like my mum who don’t want bells and whistles, or those using low-end devices or spotty mobile internet connections. Yes, WhatsApp may not make the kind of revenue per user as Messenger if it stays simple, but I’m willing to bet that Facebook is happier to have it as a differentiated experience that keeps non-Messenger users inside the Facebook ecosystem in some form. That’s better than losing them to a rival service. Besides, more subtle monetization options may be forthcoming for WhatsApp in the future. Update: WhatsApp co-founder Brian Acton told a panel at Facebook’s F8 group that “[Messenger] Platform is not top-of-mind for us.” WhatsApp is focused on product development, he added.